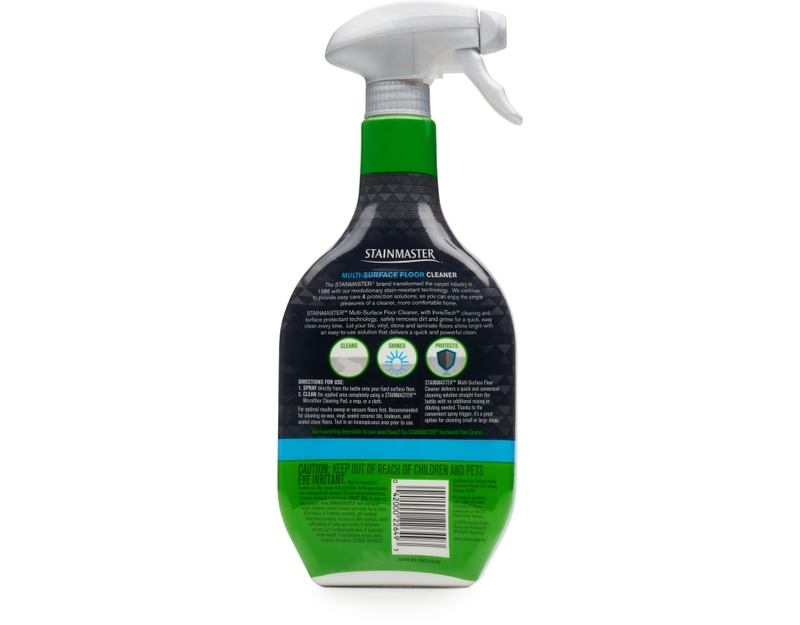 STAINMASTER Multi-Surface Floor Cleaner, with InvisiTech cleaning and surface protectant technology, safely removes dirt and grime for a quick, easy clean every time. Let your tile, vinyl, stone and laminate floors shine bright with an easy-to-use solution that delivers a quick and powerful clean. Say goodbye to dirt and grime. 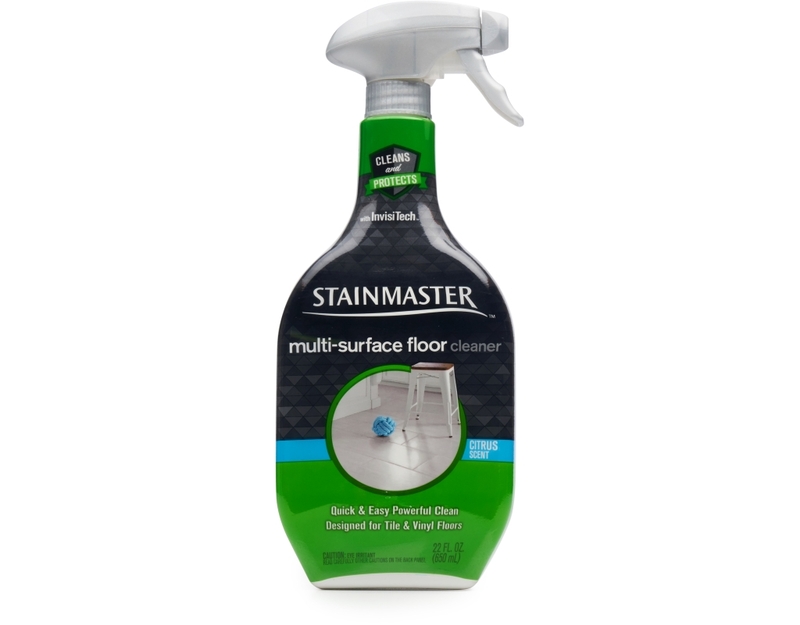 Keep your floors clean and protect against grime buildup with STAINMASTER Multi-Surface Floor Cleaner. It provides a quick, powerful clean and will make your tile, vinyl, stone, and laminate floors shine bright. This cleaner works right from the bottle, with no mixing or diluting. 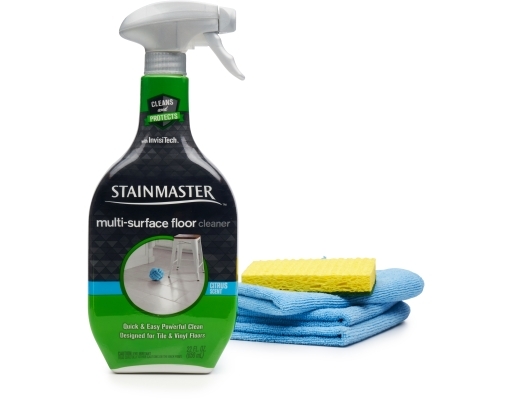 Great for cleaning no-wax, vinyl, sealed ceramic tile, linoleum, and sealed stone floors.